Sponsor for the Mother's Day Gift Idea Giveaway Event is Edible Arrangements. Are you having trouble trying to find the right gift for mom. Then think no more as Edible Arrangements is your solution. Edible Arrangements makes your life easier with gift giving time. All arrangements are made daily using only fresh fruits and nuts. You can choose from so many varieties for your loved ones. I received the Chocolate Indulgence™ Strawberries – Mother’s Day which retails $45.00. My taste buds were in heaven after taking a bite. The chocolate was divine and the strawberries were exquisite. My son, Aidan, told me the strawberries were so yummy in his tummy. The strawberries did not last long in my home after one sitting they were all gone. 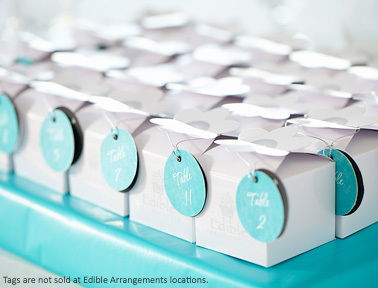 Edible Arrangements is the perfect gift for birthdays, graduations, weddings, baby showers, and your business meeting. 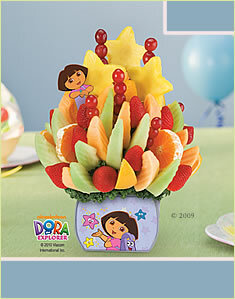 They carry a variety of fruit bouquets that everyone will like. 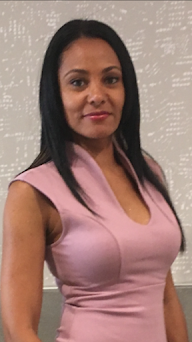 Edible Arrangements is your solution for that difficult person on your list as they have so many options for you to choose from. To make a purchase visit HERE. Also do you want to get discounts and more than follow them on Facebook and Twitter. I am also self sponsoring the eGift Card pictured above. 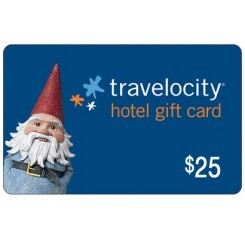 Win a $25.00 Travelocity Hotel eGift Card redeemable only through TravelocityIncentives.com Plan a great getaway for your girlfriend, mother, grandmother, or in-laws. The site offers more than 55,000 hotels and resorts worldwide from major chain hotels. Applicable to HOTELS ONLY. Limit one code per reservation. Valid only for booking a minimum two (2) night stay and a minimum purchase of $150.00 before taxes. Open to 18+ in the U.S.A. Thanks to Edible Arrangements one of my readers will win a box of there own Chocolate Covered Strawberries and a Travelocity Hotel eGift Card for $25. The Giveaway is open to USA only 18+. Disclaimer: I received one of the products mentioned above for free for the purpose of this review. No other compensation was received. All opinions expressed are my own. Self sponsored gift card for Travelocity. I will email the winner the gift card information. QueensNYCMom or Mother's Day Gift Event Bloggers are not responsible for sponsors that do not fulfill their prizes. I would love the swizzle berry box! TheChocolate Indulgence Strawberries look AMAZING! I would love to have the Chocolate Dipped Pineapple Daisies! Apple Daisy® Dipped Bananas sounds great! I like the Chocolate Dipped Pineapple Daisies. Delicious Celebration® Dipped Strawberries & Pineapple sounds good! thanks! Living Off Love and Coffee, that sounds great!!! The Swizzle Berries look so yummy! I love the mother little helper arrangement! YUM! The Chocolate Dipped Pineapple Daisies! Weird as it seems, I don't like fruit and chocolate together at all! 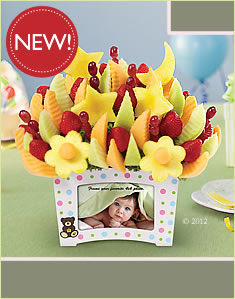 The Delicious Fruit Design® all-fruit arrangement is my favorite! I love the Mom's Chocolate Retreat!! I keep boosting you each day but it keeps going back to 169 for some reason. I click boost and it goes to 170, but then the next day I go back to boost you and it says 169 again??? Chocolate Dipped Strawberries, Apples & Bananas. Yum! Swizzle Berries Mixed Chocolate box! Chocolate Dipped Strawberries, Apples & Bananas!! I would like the Sweet Indulgence Platter®. The Fruit Truffles™ 30 Count Box look really good!